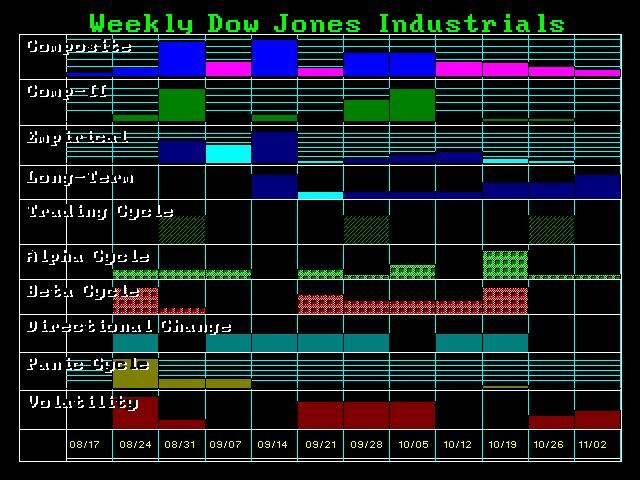 The Dow has been dropping sharply ever since it elected the first two Weekly Bearish Reversals at 17732 and 17510. The next key Weekly Bearish Reversals to pay attention to today are 16910 and 16680. A closing below both would signal a sharp decline into next week; holding may warn of a temp low this week. The timing models show the week of 8/31 as the target for a turning point, but next week is a Directional Change. Holding 169100 today will warn we could see a reaction back up before turning back down. A closing below 16680 would warn of a drop to the 15500 area. Pay attention to gold. Resistance for the close stands at 1168. A closing beneath that level will also warn that we could see a temp high. Caution is advisable on all markets right now. 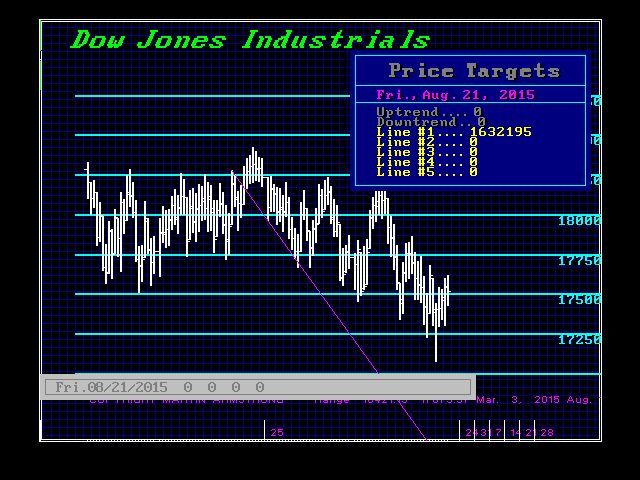 Looking at the array for the Dow, we can see a string of Directional Changes. This is HIGHLY unusual and we have not seen that type of formation in a very long-term. Expect wild swings and very choppy patterns into the end of September.